Planned protest by Nigerian Bar Association is most inappropriate at this time – Lagos Police Command – Royal Times of Nigeria. The Commissioner of Police Lagos state, has reacted to the news of a planned protest by the Nigerian Bar Association Chairman, Ikeja branch, Mr. Adesina Ogunlana who plans to use the occasion of the visit of the President Buhari to protest the Land Use Charge policy of the Lagos State Government. The CP in a statement signed by the State PRO. Chike Oti believes strongly that the planned protest by the NBA is the handiwork of mischief makers who are using the NBA as a launching pad to possibly compromise the security emplaced for the presidential visit. The statement read, “It must be recalled that on the 12th of March 2018, the Lagos State Police Command availed the NBA Ikeja branch its security assets and escorted them to the Government House Alausa to protest the increase in the Land Use Charge. At Alausa they were addressed and afterwards escorted back to their base. 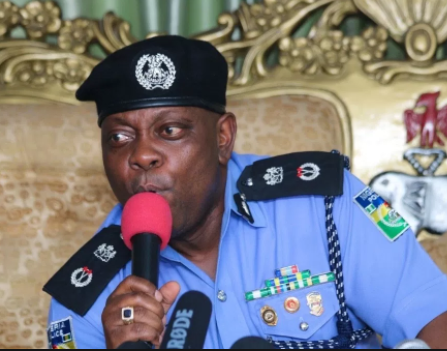 “For the avoidance of doubt, the Lagos State Police Command will not tolerate any protest from the NBA or from any group or individual for that matter during the visit of Mr President whom Lagosians are ready to receive warmly. The NBA and any group wanting to protest at this time are warned to jettison the idea or face dire consequences which may include arrest and prosecution of participants. It is curious that of all the NBA branches in Lagos, it is only the Ikeja branch that has been using the option of protest and civil disobedience despite several options available to it thus lending credence to the intelligence report that the Chairman of the NBA is a pawn in the hands of some disgruntled politicians”.